WHAT do you think of when you hear the words ‘domestic abuse’? Many people might associate the phrase only with physical abuse – the violent attacks from which far too many people suffer at the hands of the very people who are supposed to love and be there for them. Like all serving police officers, I spent a good deal of my 30-year career dealing with the late night calls to houses and flats from concerned neighbours who had heard the sound of violent arguments coming through the wall. But, horrific as these incidents are, they are only a small part of the picture. Domestic abuse takes many forms – some of them so subtle that the victim does not even realise it is happening to them. The man who makes his wife hand over her wages so he has control of her finances – he is a perpetrator of domestic abuse. The woman who stops her husband seeing his family and friends because she says they don’t respect her – she is a perpetrator of domestic abuse. The man who tracks his partner’s movements and monitors his text messages – he is also a perpetrator. Coercive and controlling behaviour is a form of abuse which the criminal justice system has sadly failed to recognise for far too long. Abusers manipulate their victims psychologically, sometimes making serious threats, such as saying that they will kill themselves if their partner ever leaves. The abuse can go on for years, with victim being ground down emotionally – their torment invisible to the outside world. And, contrary to the stereotypical views some people still have, victims of any kind of domestic abuse can be men as well as women. It also happens in the LGBTQ community as well as between straight couples. Thankfully, new laws have now come into force making the actions of coercive and controlling behaviour a criminal act. This means that victims who experience this kind of extreme emotional and psychological abuse which has a damaging effect but stops short of physical violence can now bring their perpetrators to justice. Although this legislation was introduced at the end of 2015, there are many people out there who are still suffering in silence and may not know that what they are going through amounts to a crime. Earlier this year, colleagues across Dorset launched the Cut Your Strings campaign to raise awareness of these new laws and encourage victims to come forward, or worried friends and family members to look out for the signs and report concerns. 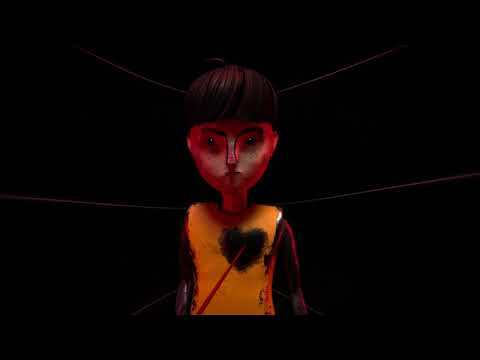 A series of powerful adverts were created by animation students from Bournemouth University, and the campaign was even given the backing of HRH The Duchess of Cornwall. The latest figures show Dorset Police received 125 crime reports of coercive and controlling behaviour from the start of April until the end of October this year – up from 38 in the same period last year and just 17 for the same period in 2016. The monthly average number of reports for coercive and controlling behaviour has increased from 6.5 in 2017/18 to 17.9 so far this financial year. The increase in reports shows a heightening awareness among the public that this behaviour constitutes a crime, but there is still much more work to be done. We now mark the start of an important worldwide campaign – 16 Days of Action against Domestic Violence, aimed at supporting people across our communities to take action against domestic abuse. The campaign, supported locally by our colleagues in Public Health England, focuses on businesses who play their part in supporting the health and safety of their employees, aiding workers who endure domestic abuse and providing training to those who witness it. We need to keep on driving the message home that nobody should tolerate domestic abuse of any kind. I would like to ask anyone who is suffering, or knows someone who is suffering, to report it online here, or to call 101 if you need to speak with someone – and of course to phone 999 in an emergency.